Commenting on Iran’s nuclear program and the international responses to it, Andre Vltchek says the majority of the Middle East nations and the global public don’t have any objections to Iran developing nuclear technology, considering Iran’s peaceful nature and its long history of non-violence. “I am actually horrified that such countries, such colonial powers like the United States, France and the UK have their nuclear arsenal and that the world is tolerating it. These countries are responsible for loss of hundreds of millions of human lives, all over the world. But Iran! Why should anyone fear Iran? Yes, Iran is transparent and accountable over its nuclear program,” he asserted. Andre Vltchek was a keynote speaker at the International Congress on 17,000 Iranian Terror Victims held in Tehran last month. FNA spoke to Mr. Vltchek about Iran’s relations with the West, the portrayal of Iran in the Western media and the international perceptions of the country’s nuclear program. Q: You recently attended the International Congress on 17,000 Iranian Terror Victims, which commemorated the Iranian citizens and officials murdered by the terrorist groups following the Islamic Revolution in 1979. Isn’t it ironic that while Iran says it’s been a victim of global terrorism itself, it’s being accused by some of the major powers and their allies of sponsoring terrorism? A: Yes it is ironic, but the entire arrangement of the world is more than ironic; it is grotesque. We have a group of several, mainly Western countries, ruling the world, brutalizing all continents, reigning over entire planet using dictatorial and often criminal means, but these countries are accusing others, mainly their victims, of being undemocratic [and] even of sponsoring terrorism. Their propaganda is extremely advanced. It was being perfected throughout the centuries. I suggest one thing: keep telling the truth and continue presenting facts. But the countries like Iran should not engage in direct debate with the West over these issues. It is because the West and its propaganda are too advanced in their ways and in the methods to manipulate public opinion through distorting the facts. Their outright lies are now more convincing than the truth. Q: The Iranian officials and ordinary citizens have complained in the recent years that the international community didn’t adopt a firm stance in protest against the assassination of the nation’s nuclear scientists between 2010 and 2012. In March 2014, a CBS national correspondent Dan Raviv suggested that Israel’s intelligence agency Mossad was behind the killing of five Iranian civilian scientists, and that the Obama administration had asked Benjamin Netanyahu to stop the assassination campaign. Why wasn’t there any official, public condemnation by the world leaders and international organizations on those killings? A: First of all, because in the West, the majority of people has absolutely no idea that Iran’s nuclear scientists were actually assassinated. Only a very small percentage of the citizens of Europe and North America are well informed and capable of thinking independently. I estimate that between 1 to 2 percent of their population has any idea about the reality. And these people are not holding the power. 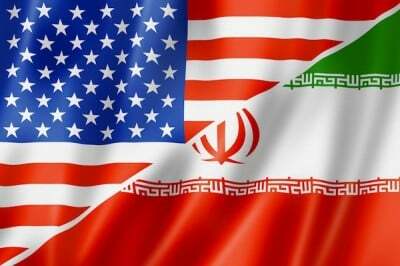 As you are well aware, Iran had been defined – by the West – as a pariah state. It had been accused of so many horrible things. These accusations are stereotypical. Actually, each country that does not kneel in front of the West’s colonialist ambitions is accused of these same “crimes”. This way, the West’s public is systematically de-sensitized. After smearing a country like Iran, people in the West think, well, whatever is done to change their “regime” is actually quite legitimate. If it is done through the killing, fine; if using embargos, ok; overthrowing the government – why not? It is extremely brutal game, and there is no compassion there, no feelings; as there is no justice. Q: The Mujahedin-e-Khalq Organization (MKO), is an armed group responsible for the killing of hundreds of Iranian government officials and ordinary citizens in the years following the 1979 revolution. The group was on the US Department of State’s list of foreign terrorist organizations for 15 years, and also considered a terrorist group by the Council of the European Union and the Canadian government. However, the designation was surprisingly lifted in 2012, and the sect is now simply considered a political opposition party. What’s the main reason behind the decision to de-list MKO? Won’t their decision give the MKO greater leeway to carry out terrorist operations inside Iran more conveniently and destabilize the country? A: Exactly. But that is really their goal, to use MKO as destabilizing factor against Iran, as ISIL is used to destroy Syria and Iraq, [and] as some of the most ruthless and brutal right-wing groups are used to destroy Latin American revolutions. The West is using exactly the same methods against China and Russia and against so many other independent-minded countries. Please do not search for logic behind these acts committed by the West. Their goals are strictly destructive. Q: One of the questions you raised during your keynote speech during the opening session of the International Congress on 17,000 Iranian Terror Victims in Tehran was that, “why is Iran a target of terrorists supported by the West?” What’s your response to your own question? As you mentioned, Iran has been a harmless country that never attacked any of its neighbors, nor did it overthrow any government. So, why should it be on the receiving end of so much aggression? A: As I mentioned during my speech in Tehran: it is because “Iran is doing many things right”. It is because Iran’s government wants to improve the standard of living of its people, instead of feeding foreign corporations, and instead of taking orders from the foreign regimes. It is because of Iran’s great friendship with other independent-minded countries and movements in Latin America, the Middle East, Africa, as well as China and Russia – two powers that are now standing firmly against the Western imperialism. Presidents Ahmadinejad and Chavez of Venezuela were very close friends. Iran is seen with sympathy by tens of millions of people in this region. And as I was told by great North American thinker, Noam Chomsky, while we were making a film and writing a book entitled “On Western Terrorism – From Hiroshima to Drone Warfare”, most of the countries of the Middle East are seeing real danger in the US and in Israel, while only a tiny fraction sees Iran as a menace. All that I just mentioned above makes the Western empire absolutely furious. The only way to make a “peace” with the West would be to kneel down and to sacrifice Iranian people to the foreign interests. There is no compromise, no other way; the West always demands nothing less than everything. And Iran’s government would never commit such treason; it would not betray or sacrifice its people. Q: In one of your reports from Iran, you noted that there are powers which continually demand Iranians to show transparency and build confidence, while staying in “murkiness” themselves. You said they challenge, scrutinize, corner, bully and humiliate the people of Iran systemically. I suppose you were referring to Iran’s nuclear program, for which it has been under pressure for over a decade. What do you think are the reasons for these pressures? Hasn’t Iran been adequately transparent and accountable over its nuclear program? A: Yes it has been. But again, it is not what Iran actually does. It is what the Western propaganda wants Iran to be perceived as, by the rest of the world. Iran that you see when visiting the country has nothing in common with that imaginary, terrible and cruel Iran that the West’s mass media has created. Again, referring to the public opinion in the Middle East, most of people there would absolutely not mind if Iran would have its own military nuclear program. I would definitely not mind! Why should anyone mind, given extremely peaceful history of Iran? I am actually horrified that such countries, such colonial powers like the United States, France and the UK have their nuclear arsenal and that the world is tolerating it. These countries are responsible for loss of hundreds of millions of human lives, all over the world. But Iran! Why should anyone fear Iran? Yes, Iran is transparent and accountable over its nuclear program. But the way the West had been operating on the global stage is like this; a gang of bandits which just robbed a village corners some poor victim, then points fingers at him and shouts: “Thief!” and they run after him, beat him up. I described this, in detail, in my 840-page book “Exposing Lies of The Empire”. There, I am offering dozens of concrete examples, from all over the world, how the Empire is demonizing and destroying its “enemies”. This is how it is; this is arrangement of the world in which we are living and that is why this global dictatorship of the West has to end, as soon as possible. A: We are talking about one of the oldest and one of the deepest cultures on earth! Without visiting Iran, one’s knowledge of the world could never be complete. From ancient-days science, architecture and poetry, to modern cinema – arguably the greatest on earth, Iran managed to influence the world, greatly and positively. To visit Iran, to mingle with its people – that is absolutely the minimum that any thinking human being could and should do. Why is there so much misconception? It is very simple question to answer: Western propaganda knows that the easiest way to gain support at home and abroad for its hostile, or call it terrorist, actions against those proud and independent nations that are opposing the Empire, is to smear them, demonize them. Hollywood and mainstream media play submissive, servile role, spreading false information and perceptions. And Hollywood as well as the Western mainstream media, have been pushed down the throat of the people all over the world. They are part of that grand disinformation and brainwashing apparatus. Once the country is defamed, it is much simpler to justify sanctions, even direct or indirect invasion. I therefore encourage people from all corners of the world to visit Iran and to see the reality with their own eyes. I tell them: stop trusting Western propaganda, and stop acting like sheep! Go and see, and judge by yourself!